Wall-Mounted Topping Dispensers are the best way to store your candy, nuts, cereal, and more. 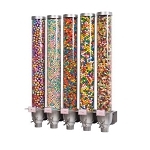 Imagine your yogurt shop's wall lined with these dispensers filled with colorful candies. Not only do these containers keep your store looking clean and organized, they are a fun way for kids to get to the products inside! Portion control knobs keep too much from spilling out - keeping waste to a minimum. These wall dispensers are ideal for so many locations. 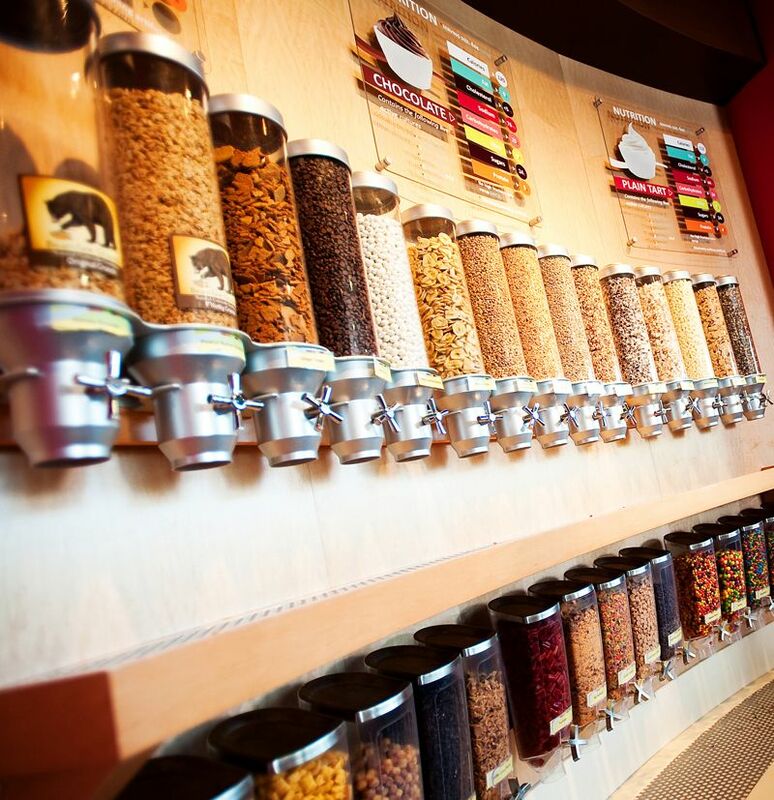 Fill with a variety of nuts, grains, and granola in a health food store. Fill with small, hard candies in your candy shop. Have several varieties of cereal on your breakfast buffet without sacrificing counter space. Fill a few with peanuts at the bar. Mount some of these wall containers in your office to provide employees a healthy snack. 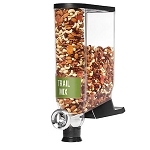 Need a lot of options, order a bulk food dispenser that holds 5 products. Just need one? We have that, too. Want to create a whole wall display? No problem. Order yours today!